RAL Signal Orange Glass Splashback. We use a fully digital colour mixing system that enables us to match any RAL paint colour with a very high degree of accuracy. We do not use actual RAL paint as it is not suitable for glass. Our system can provide indistinguishable colour matches. We offer a sample product to help you see your colour on glass. 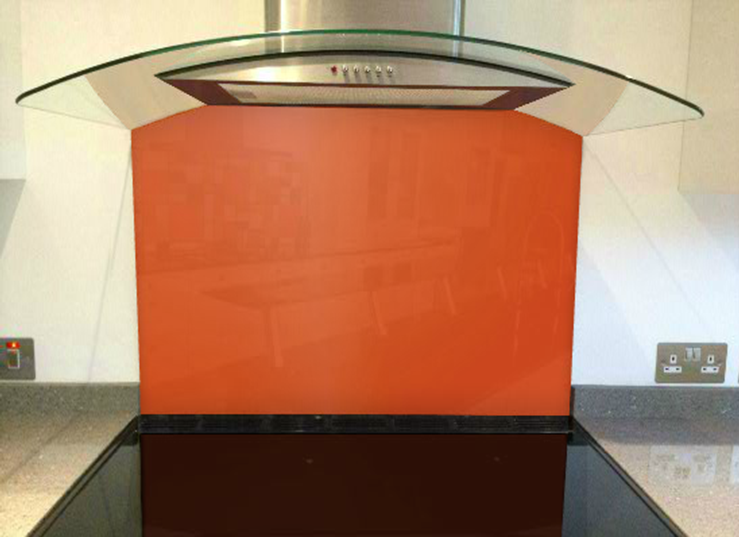 To order a RAL Signal Orange glass splashback sample please click here. If you have not decided on the colour for your walls or cabinets then that may be the best place to start. 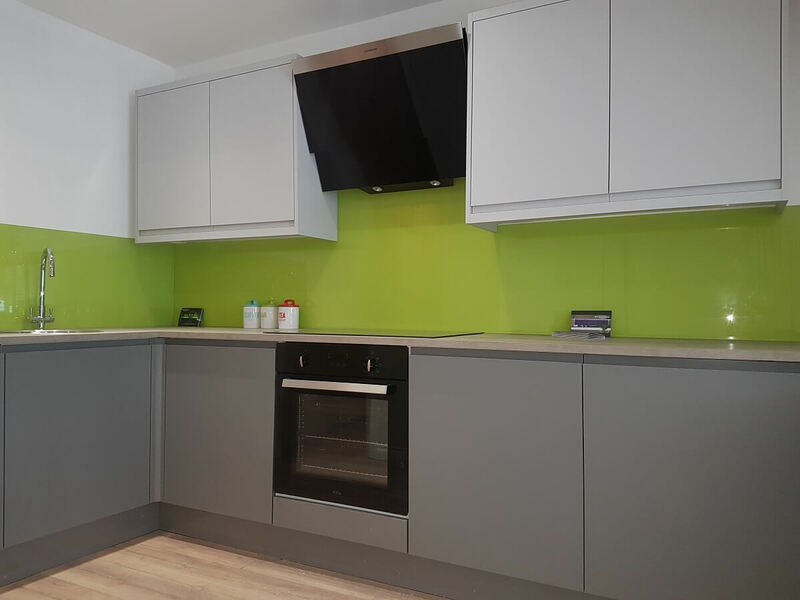 Would you like your RAL Signal Orange Splashbacks to complement or contrast your walls for example? 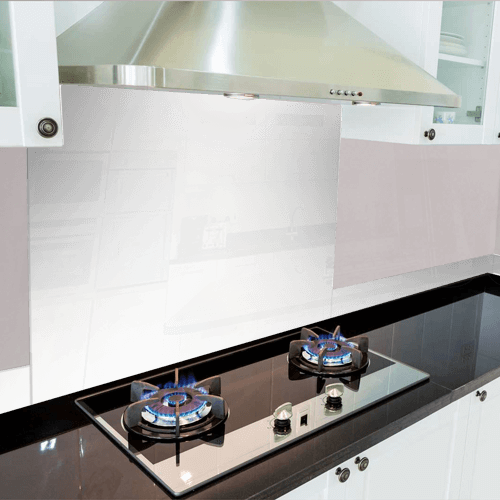 This image shows two RAL Signal Orange glass splashbacks meeting in a corner, under your kitchen cabinets.